Everybody knows that the Callahan household is a factory for college soccer players. Matt’s a senior co-captain for the Aztecs at San Diego State and was named Man of the Match for his goal in the 67th minute against Oregon State. They played to a 1-1 draw. Matt transferred from Northeastern which is just so smart you guys. Going from Boston to San Diego for college. Wish that move had been in my playbook 20, I mean 10 years ago. Hope Mom & Dad are getting out west for a lot of Matt’s games. Most of you know longtime Randlett Parkers Richard & Jane Malmberg moved several weeks ago. Well the house is empty and now for rent. 4 beds/3.5 baths and 2,700 sq/ft. One of the biggest houses on the street. If I’m being real we’re gonna need better photos. This is America’s Favorite Street you guys. I mean get me, Party Tina, her giant camera and a sixer of Coors in here and see what we do. Besides crush the beers I bet we get 1 or 2 nice real estate photos. 364 Waltham #1 is a 2 bed/1 bath condo with 1,050 sq/ft. Right around the corner from America’s Favorite Street you guys. 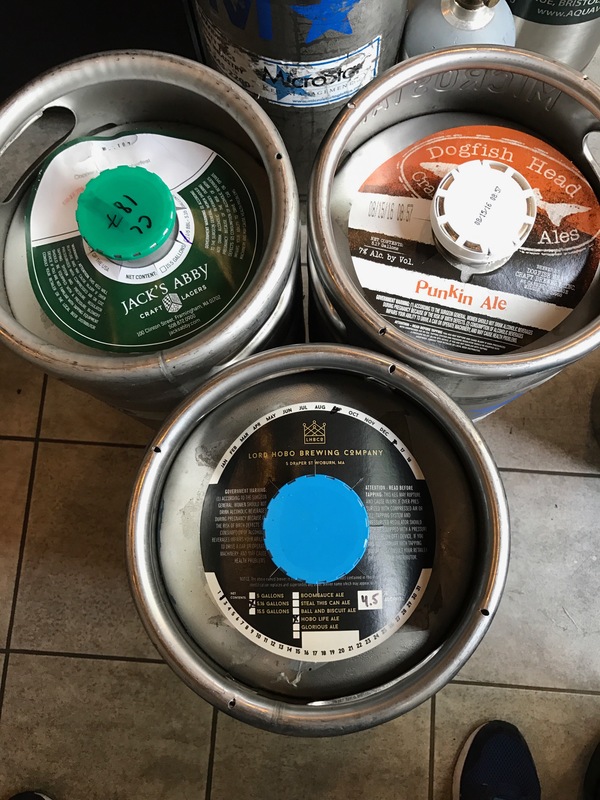 Jack’s Abbey Copper Legend Oktoberfest, Dogfish Punkin Ale & Lord Hobo Hobo Life Session Ale. Just me or beer names getting really long you guys? Bring your A game Saturday party people. 171 Fairway went under agreement this morning after 2 open houses over the weekend. House was listed for $899k. Should have new neighbors around Thanksgiving you guys. You may have noticed a large hole in the ground at 30 Rangeley. Well the owners plan to build a new house there. This real estate, not so hard is it you guys? Just a little reminder. Gonna be the best one yet.